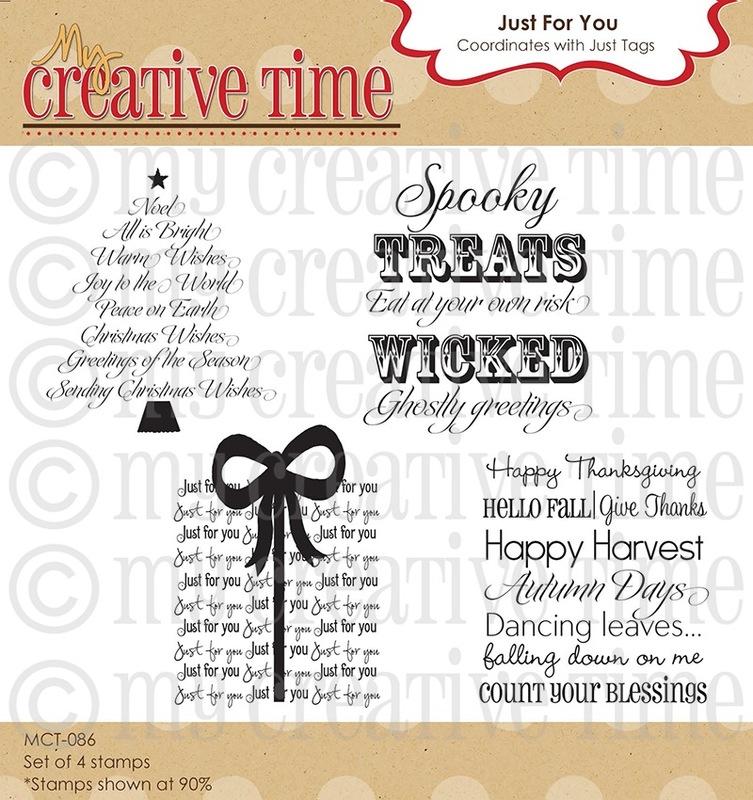 Welcome to the My Creative Time September Release Blog Hop. If you came from Micia's Blog, you are in the right place. This release is small but it going out with a big bang! Every MCT release is huge for us!! Emma has done it again and came out with a wonderful release. So many possibilities!! I hope Emma knows how much she inspires the crafty communality. I can honestly say without this hobby, I could not have gotten through some hardships. I love being on this design team and am honored to represent these wonderful stamps. Today for my project, I made these cute little goodie bags using the 3 By 3 Fancy Envelope Die. They are filled with raisins, hence the reindeer poop! Hee Hee..How cute would these be for holiday gifts! I used some patten paper and "busted" out my sewing machine..Im on a roll! lol..Ok I have to admit..these are pretty cute! Im so glad you stopped by today. Make sure to visit the rest of the design team. Big crafty hugs! This is so cute. Looks like they would be good for gift cards too. Nancy, these are absolutely adorable! Just too cute!!! How adorable are these!!! I love it and this would make a GREAT little gift! Super cute! 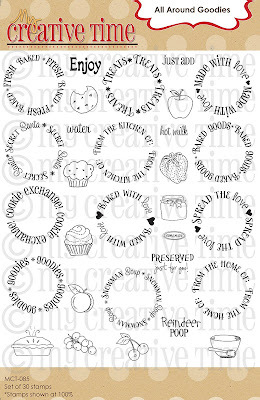 These would be great gifts for the class, or even party favors for the kids if you had families over for a holiday party. oh my nancy! you are way too creative! 3x3 card reindeer heads soooo cleaver!!! Oh Wow,these really are cute! Nancy ~ OMG! These are ADORABLE and so stinking CLEVER!!! These would make AWESOME kid treats for the up coming Holiday! LIFTING this idea!!! Well I just LOVED your post! I couldn't AGREE with you anymore! Miss Emma is super AMAZING and like you ~ this hobby has gotten me thru so much lately! AWESOME job! Seriously lifting this! Hang in there sweet friend! Really adorable treat bags! You did a great job! Thanks for sharing! Cute treat bags!! Great job! 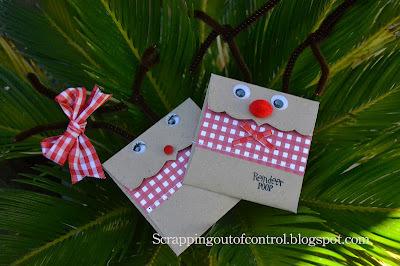 These are definitely the cutest use of an envelope I ever saw! super duper cute reindeer!! How sweet! What a cute way to make poop treats! I love this, Nancy!!! 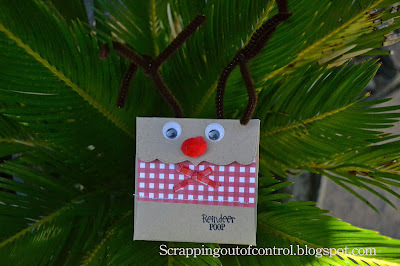 Love your darling reindeer project! Thank you for the wonderful idea! Thank you also for a lovely blog hop! I am also a new follower! These reindeers are so cute. What a fun idea. These are the cutest reindeer I have ever seen!! I am going to have to try these with the daycare kids!! OMGosh, these are the cutest reindeer I've ever seen!! I love this idea and love that you used the cute little envie as you little goodie holder. Clever, clever, clever! Adorable set. Love the eyes and nose! Okay, this is so clever and cute. What an awesome idea, it would be an easy project for the kids to make too. Thanks for sharing. What a CUTE idea! Thank you so much for sharing your creativity and inspiration!!! Oh gosh, these are super cute! Thanks for the idea! LOL! I love these! They are super cute. Thanks for sharing. Love your Reindeer Poop bags. Going to have to create some for my Grandkids...they will go crazy just seeing the word poop!! 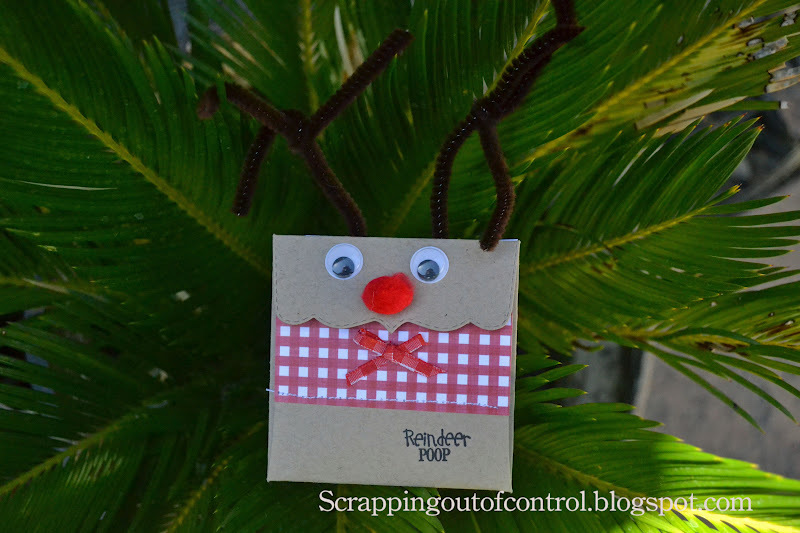 Wow very cute reindeer poop bags, thanks for sharing all the great ideas!! What a cute use of the die. Great project. Those are adorable! And such a good idea! Thanks for the inspiration! These are just so darn cute! As they say...the devil is in the details...and I just love the detail on these! Thanks for sharing. Cute treat holders. 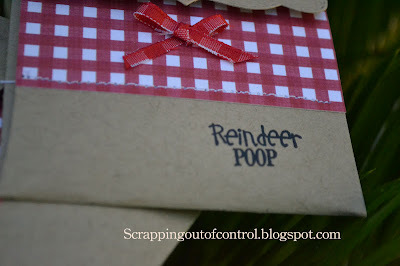 I am loving the reindeer poop sentiment. very creative! I enjoyed your card very much!! What a cute treat card, made especially for 'little hands." Your oh-so-clever approach here has definitely added another layer of 'must have' to these sets. I'm convinced. Totally! Thank you for inspiring! Too cute. Love the googly eyes on your reindeer. They made me smile. Thanks for sharing. these reindeer box treats are way too cute! great job! thanks for sharing! Love the pop noses and the antlers :D So very cute! Oh my gosh! How cute are those reindeer? TFS! so many uses for those tags! what a great idea they came out great!! nice idea for school!! AW, those are so cute, love the googly eyes. Awww, so cute TFS Nancy! Adorable! A must for anyone with children!!! They're so cute Nancy! 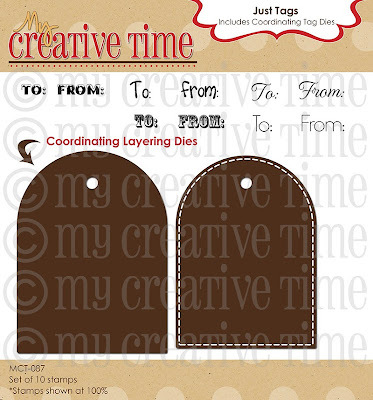 Great idea for the fancy envelope die - just wonderful! Thanks for sharing! These goodie bags are just adorable! 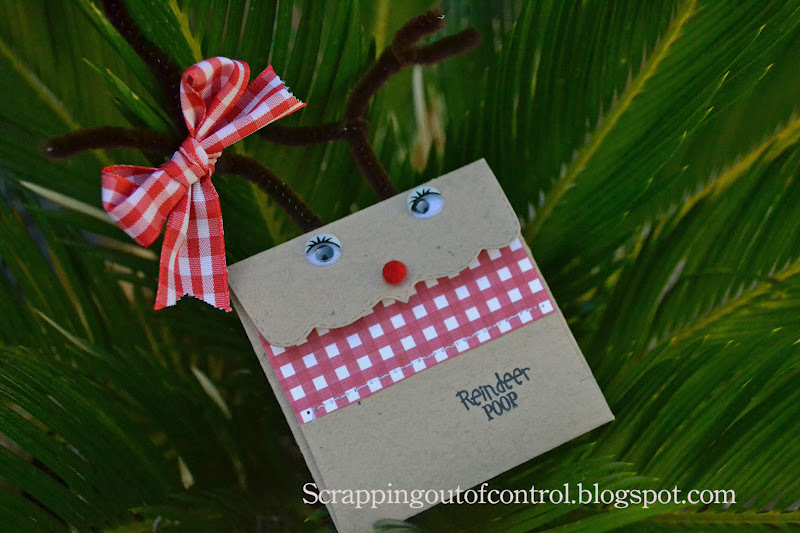 What a great project, your reindeer are super cute. Cute project! Think I might try this with the grandkids. They'd have a lot of fun with this!